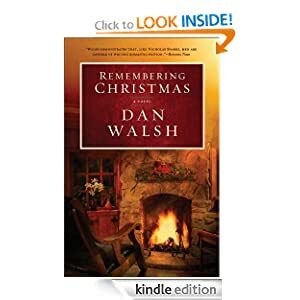 Last year, I found Remembering Christmas by Dan Walsh on Amazon. The book was free and I wasn't sure if it was something I'd like or not. But, it was free so I thought I'd give it a try. I LOVE this book! I originally wrote about this book last year, which you can find here. While this is a Christian book, it is a beautiful story and one I couldn't put down. It's a reminder of the holiday spirit and what's really important in life. This is the perfect book to read during the holiday season and I highly recommend it. This book has made it into my pre-Christmas reading rotation. A perfect reminder of what the holidays are really about.